The Former gubernatorial candidate of the ADP, Pastor Margaret Inusa has formerly decamped to the PDP in Plateau State with just 3days to the gubernatorial elections. 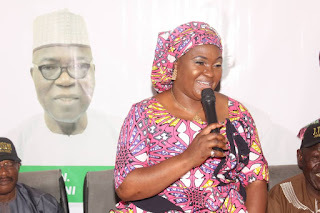 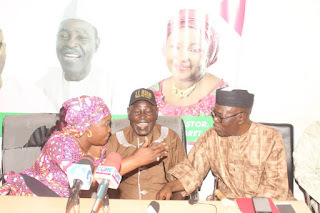 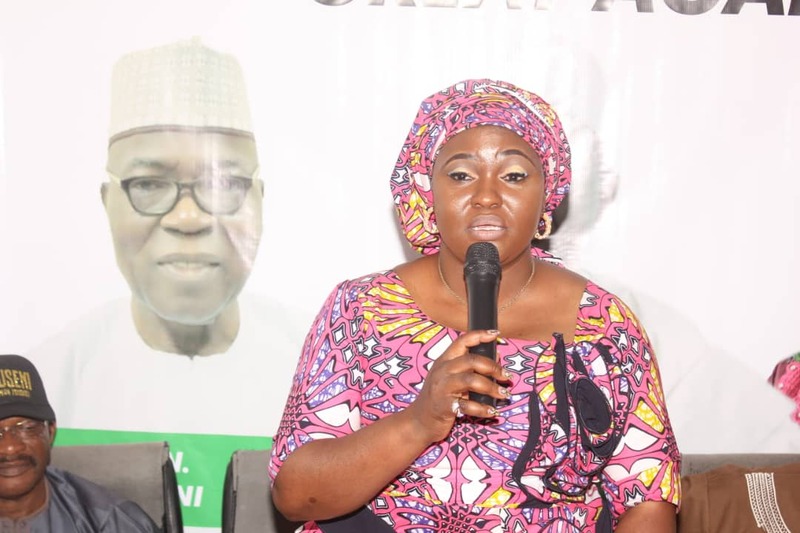 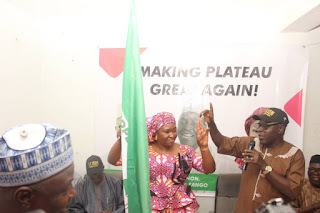 Pastor Margaret led other party faithfuls of the ADP and all her supporters to the PDP in a grand occasion at the Plateau State PDP office on Wednesday 6th March, 2019. 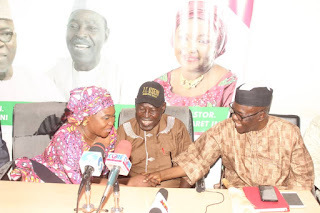 You will recall that Pastor Margaret was the ADP gubernatorial candidate until she was forced to step down for John Timlong in an unusual circumstance. 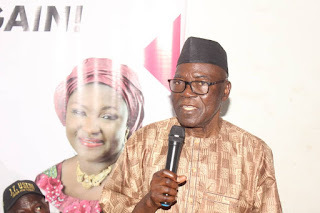 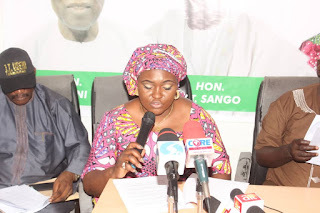 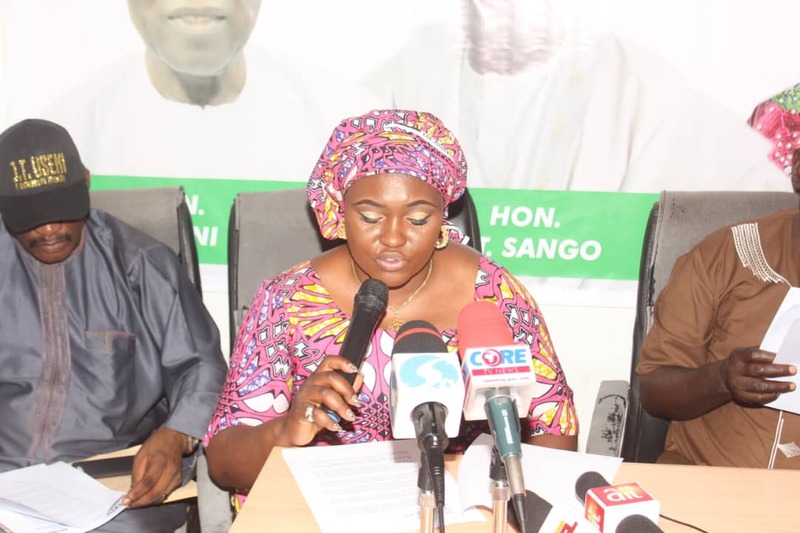 The PDP State Chairman, Dmishi Sango who was on hand to receive the team of decampees, described it as a boast to the party with just 3days to the Local Elections in the state and assured them that the party was open to all. 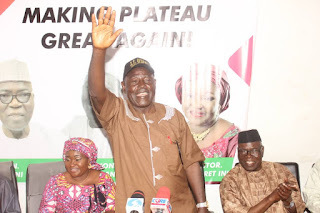 JT Usini, the gubernatorial candidate of the PDP was also present to welcome the decampees and assured all that he will run an all inclusive government and promised to run just for one tenure. 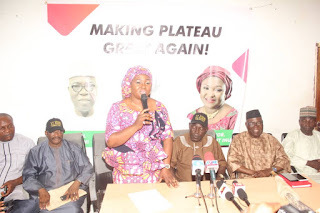 "A little over six months ago, the race for building the Plateau of our dreams began. 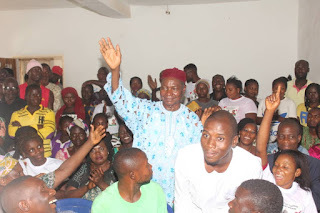 It was with the sole aim of advancing us as a people. Reviewing the potential and resources we are blessed with as to where we are as a people made us resolute to achieve our newly found purpose. 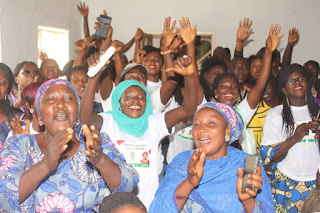 And we started this journey with our minds and eyes open: accepting that the road ahead will be uncertain at times, but believing that it will lead us towards a brighter future not just for us now but for our children - and their children too. 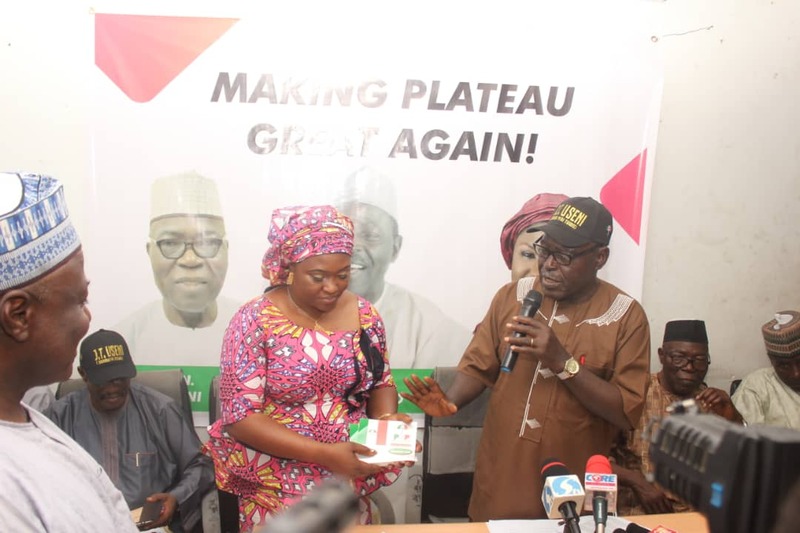 We are diverse in our pursuits but bound by one common goal -To prosper and flourish"
There was a show of warm reception where the chairman and the party's executives of Plateau State, People's Democratic Party (PDP) Dmishi Sango encouraged and welcomed the new decampees which includes ward heads, Councilors and youth leaders who are courageous to join the People's Democratic Party (PDP).